Rain later this morning and tonight. The image above is a view from the south looking north over East Boothbay Harbor and the Damariscotta River. 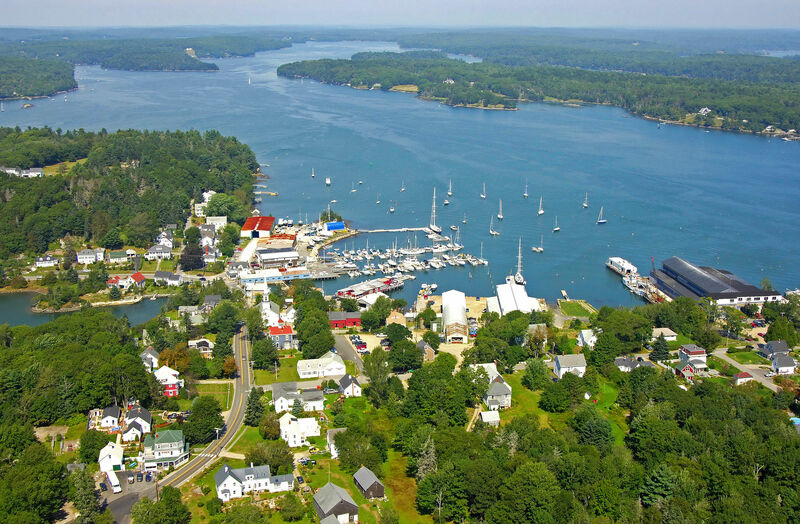 East Boothbay is located three miles northeast of Boothbay Harbor--as the bird flies--and four miles northwest of Pemaquid Point. 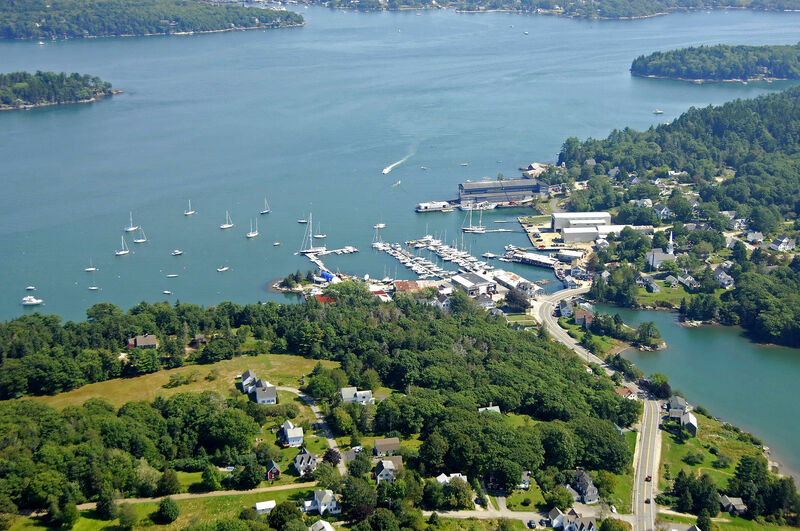 There are two marinas in East Boothbay. 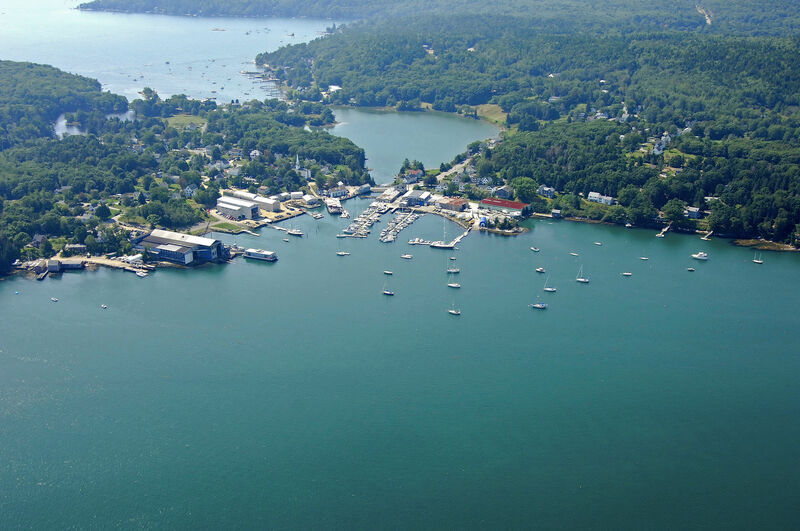 The large dock facility visible in the image above is the Ocean Point Marina. 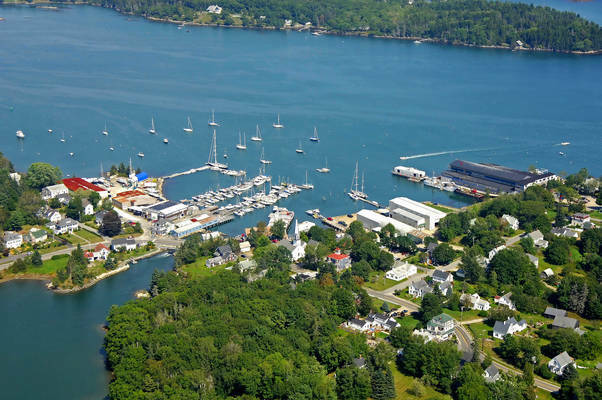 This facility not only maintains the buoys in East Boothbay Harbor, but also has transient dockage at floating docks, gas and diesel fuel, and a lift for haul-out and related repairs. The only other facility in East Boothbay is the Lobstermans Wharf Restaurant and Inn, which only offers dockage while customers are eating in their restaurant. Use NOAA Charts 13301 and 13293. Reaching East Boothbay Harbor requires an approach from the south via the Damariscotta River. 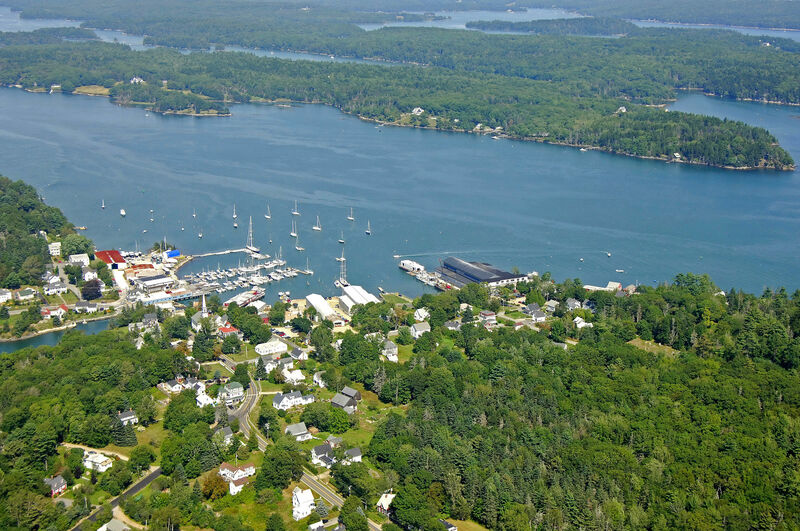 Since most boaters start their way up toward East Boothbay from the ocean, we will discuss that longer route in detail here. From the Atlantic Ocean, first set a course for flashing red, red and white Morse (A) buoy HL, which is located at an approximate position of N43 48.394 W69 34.789. Once you have successfully navigated to red and white Morse(A) buoy HL, set and follow a new course of 027 degrees magnetic for 3.5 miles until you reach red nun buoy 6, which is located just west of Rutherford Island. Lastly, from red nun buoy 6, set and follow an approximate course of 326 degrees magnetic for eight-tenths of a mile until you reach green can 9. You should be able to see the town and harbor of East Boothbay from this Point. Head north, leaving green can 9 to port, and then turn west into the mooring field and harbor area. Depths in the harbor are around eight feet in most places. No reviews yet! 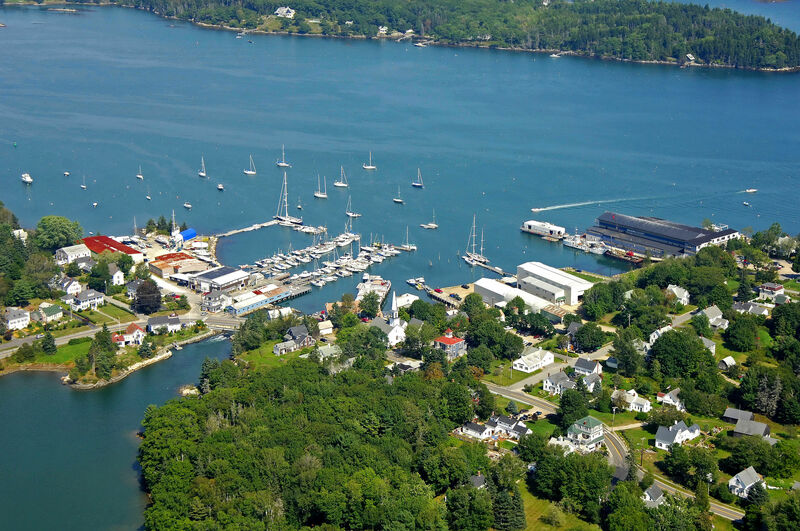 Be the first to write a review of East Boothbay Harbor.